C Span, the cable channel that offers us gavel to gavel coverage of the US House of Representatives and US Senate, and public events, lectures and book events on American history and public affairs, has conducted polls of scholars in 2000 and 2009, ranking Presidents by various factors in judging leadership. Now, with Barack Obama about to leave office in the next year, there is certain to be another ranking by historians, political scientists, and journalists of the Presidents, just in time for Presidents Day in 2017. The question is how will the rankings change, as they were quite different in 2009 over the judgment in 2000. What follows is one historian’s assessment of how he would imagine the polling will work out, although clearly, there is no certain way to know how a group of 50-70 or more experts will judge our Presidents. But a few observations seem in order ahead of the actual polling taking place later this year. My judgments are in comparison to the 2009 rankings, and are only my own, so I take full responsibility for my perspective, and welcome comments. We can say that in the past decade, several of the higher ranked Presidents have “suffered” in their image, as criticisms have grown over their lives and careers, particularly regarding the issue of race. Among these would be Thomas Jefferson (Number 7 in 2009); Woodrow Wilson (Number 9 in 2009)); Ronald Reagan (Number 10 in 2009)); and Andrew Jackson (Number 13 in 2009). Woodrow Wilson has suffered in his reputation, due to more attention to and criticisms of his clear cut racism and his intolerance on civil liberties matters, as demonstrated by Sheldon Stern’s recent article on HNN; the same sentiments hurt Jefferson and Jackson. Jefferson has been portrayed in recent years as a harsh slave owner, and Jackson’s treatment of native Americans has tarnished his legacy in a major way. This aspect of Jefferson and Jackson was ignored by historians for a long time, but no more. Reagan’s image has also undergone much criticism, at the same time that the present day Republican portrayal of him has distorted the reality of a leader also wrong on the race issue, particularly regarding South Africa and apartheid, but also shortsighted in other areas. Despite this reality, Jefferson and Wilson, while likely to drop in the ratings, still are likely to end up in the top ten, based on the positive aspects of their Presidency. And Reagan still must be regarded as easily in the top third of all Presidents as number 12, and Jackson still in the top 15, since comparison of Presidents is a complex art which makes even a President with major problems in his record still stand out when compared to others of fewer accomplishments in office. Bill Clinton seems likely to rise, from Number 15 to Number 13, as his public image has continued to grow in stature. At the same time, two recent one-term Presidents, who have suffered by the fact of their defeats for a second term, also look somewhat better in the eyes of many, and their longevity may be part of the reason. As years go by, both look more positive in their accomplishments. I am referring here to George H. W. Bush (Number 18 in 2009) and Jimmy Carter (Number 25 in 2009); both are likely to move up in the rankings in 2017, with Bush moving up one notch and Carter five notches, therefore reaching the top 20 list. This would cause a slight drop in the rankings of James Monroe (Number 14 to 16); William McKinley (Number 16 to Number 18); and John Adams (Number 17 to Number 19), all compared to the 2009 rankings. It would also seem that Harry Truman (Number 5 in 2009), may switch places in the next poll with Theodore Roosevelt (Number 4 in 2009) moving above him. The image of Truman dealing with major crises, on a similar scale with the top three Presidents, helps to move him up, as TR, by comparison, had a much less stressful time in his Presidency, although he remains the most colorful character among American Presidents, which has helped to boost his rankings over the years. It also seems likely that Franklin D Roosevelt (Number 3) will switch places with George Washington (Number 2) as FDR had been Number 2 in the 2000 C Span poll, and much more research on FDR may raise him back to the second slot ahead of Washington. And Dwight D. Eisenhower looks better all the time, a big difference from when he left office more than a half century ago, so expect him to move from Number 8 in 2009 to Number 7 next year. Debate will continue over whether John F. Kennedy (Number 6 in 2009) is overrated, and the issue of whether Lyndon B. Johnson (Number 11 in 2009) might move up and even surpass JFK in the rankings, as the war in Vietnam recedes deeper into memory. Many see JFK as not very accomplished for his three years in the White House, and more listed in the top ten due to his assassination, with the Cuban Missile Crisis also helping to raise him, but with his short time in office making it hard to justify his ranking, so I figure a drop from Number 6 in 2009 to Number 8. Putting LBJ just above JFK (moving from Number 11 in 2009 to Number 7) seems reasonable with the fact that his great domestic accomplishments now have a long range impact, and Vietnam fades to a great extent, as we spend more time on the wars under George W. Bush as the major focus of criticism at this time frame. The image of George W. Bush (Number 36) might be even lower, and seems unlikely to rise. If anything, he might fall below Millard Fillmore and William Henry Harrison to Number 39 out of 43. Andrew Johnson might also fall to the bottom, moving James Buchanan up one notch, making Johnson drop from Number 41 to Number 43. Lately, Johnson seems somehow worse than any President, causing much of his own grief, a stark contrast to many decades ago when Johnson had a favorable historical image from the “Dunning” School of Reconstruction, but that is long gone as being legitimate. And then the ultimate question: Where will Barack Obama rank? The best guess would be that he will rate, in the midst of so much controversy and polarization, as an above average President, with the likelihood of being, as this author sees it, Number 11 of 43. (Do not forget that Grover Cleveland had two nonconsecutive terms, so while Obama was the 44th President, he was the 43rd individual to hold the office.) Obama has not been everything that many of his supporters hoped he would be, but he has been transformational with ObamaCare, revival of the economy, and his leadership in social change and trying for the most advanced domestic reforms since LBJ. He will continue, of course, to be highly controversial, but that is nothing new, and is part of the plight of being President, experiencing highs and lows in public opinion and scholarly judgment and ranking. No major changes are likely further down on the list, other than John Quincy Adams and James Madison being knocked down two slots due to the rise of George H. W. Bush and Jimmy Carter. Both JQ Adams and Madison were, certainly, greater men than Presidents! Grover Cleveland, Gerald Ford, Ulysses S. Grant, and William Howard Taft each will also drop two slots as a result, with Richard Nixon rising above Calvin Coolidge, but keeping his number 27. Except for the George W. Bush drop below Millard Fillmore and William Henry Harrison, no other changes are likely, except for Andrew Johnson being absolute bottom, instead of James Buchanan! 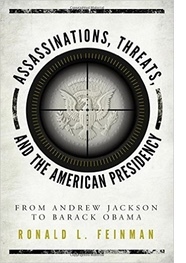 It will be interesting to see what kind of reaction there is to this one historian, and how he evaluates Presidential leadership, including our incumbent President, Barack Obama. I welcome a vigorous debate!